This is beautiful, Hannah! The strawberries from CA are great right now! Thank you, Brooke! Those are the ones I used...can't wait til our berry stand opens and we begin our daily pilgrimages! Spring is actually on it's way then? Living a mile high with the remainder of a snowstorm on the ground; we have at least a month before we experience spring. This looks SO good. I'm ready. 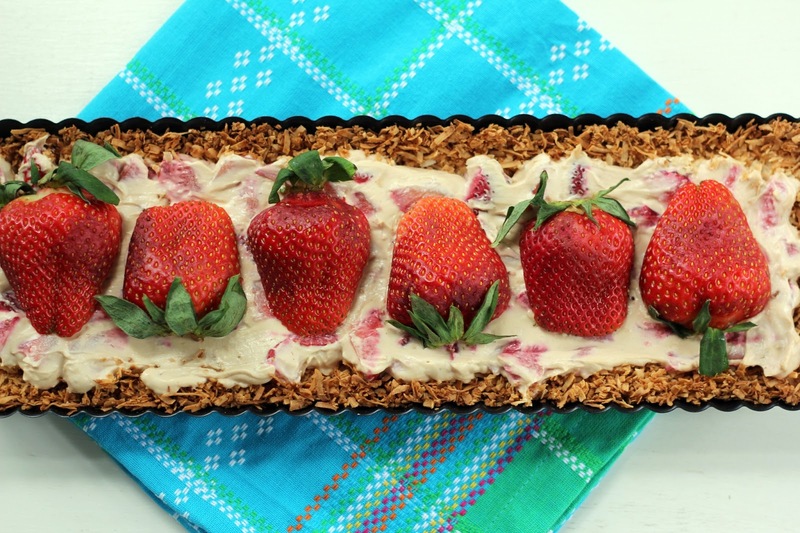 Hannah, what a beautiful tart and guest post. 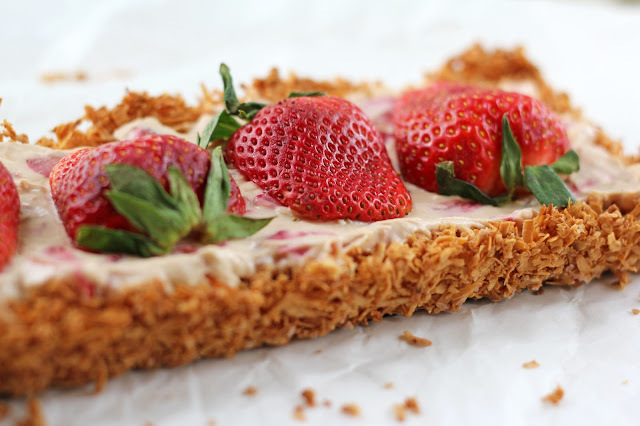 I love Alyssa's blog and am so happy to have found it, Those strawberries are gorgeous and I LOVE the macaroon crust!! Thank you, Suzanne! I hope you spend some time browsing Alyssa's blog - lots of yumminess to be found. I'm now giving some thought to a chocolate filling in the macaroon crust. I got my chocolate fix, though, for awhile with those brownies we both made from Food52 yesterday! Yummy! My mouth really is watering. I can't wait to get my hands on some strawberries. Like Barb, we're snowed under here, so it seems like spring is so far away! Thank you, Lauren! I was thinking of you when I saw Wichita in the news...you've had your share and more of snow this season. Really, you can send some this direction! I know my boys would welcome a snow day. Hopefully you'll be able to welcome spring soon. What a beautiful tart,looks mouthwatering! And that would be also perfect for the Passover week! This is really gorgeous, Hannah! Thank you, Christopher! I appreciate you stopping by. Beautiful and a perfect tease to Spring. Excited to go check the recipe out. Thank you, Erina! After the pounding rain this afternoon spring is now feeling a bit distant. Hope you enjoy the recipe! Thank you, Kiran! The tart was fun to create - using goat cheese in a sweet way was new for me. And it's a thrill to be guest posting on Alyssa's blog! Heading over now! :) These macaroon tart looks so delicious... I have to follow the tart for the recipe! Thank you, Nami! I hope you enjoy the tart. And have fun checking out Alyssa's blog - she shares lots of delicious, creative recipes.